The training times listed in these skill plans are approximate and do not take into consideration either implants or utilizing attribute remaps. Formulation of a custom skill plan using Evemon is recommended for anyone needing more precise information. 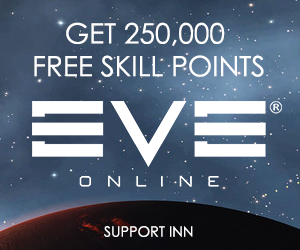 When training into subcap mining – it is important to train not just the skills for the hull itself, but also skills for the mining modules, tank, and defense. This is a general but robust skill plan for training into Exhumers as well as having the skills to use the appropriate tank and drones for defense. If you only mine in high sec, you have no use of the plan after step 60 (please note, this is a mining plan, not refining). But you also need to train the reprocessing skills for the ores you want to mine (Plagioclase, Scordite, etc.) to IV in order to use the respective T2 mining crystals. If you only mine in nullsec, you can skip steps 57-60. There are two sets of steps for nullsec mining. After step 67 you will be able to train T2 crystals for Spodumain, Dark Ochre, and Gneiss. In order to use T2 crystals for Arkonor, Bistot, and Crokite you will need additional skills (steps 72 and 73). If you wish to mine ice as well as the other options – steps 84-88 will allow you to use T2 Ice Harvester IIs. If you only mine in lowsec, you’re a crazy person. To expand on this – Lowsec has all of the disadvantages of both high sec and null sec and none of the advantages. You get neither prohibitive presence of CONCORD as you have in highsec, or the benefit of being surrounded by friendlies as in nullsec, but you’re able to be attacked by anyone who chooses to attack you as you would be in null, along with being surrounded by neutral people and those you do not know, as in highsec. If you absolutely choose to mine only in lowsec – replace the highsec ores after step 52 with the lowsec ores you plan on mining. Barest mercoxit mining ability is step 47, 48-64 is in order to use mercoxit mining crystals. Mining crystals are not required; however, the mining yield on the Modulated Deep Core Miner II’s is abysmal without them. After step 43 you can technically sit in a Rorqual, but sitting in a Rorqual is not the goal of this guide – skill on to get to do things. At this point you can also use the Industrial Core I. After this point you can use the ‘Excavator’ Mining Drones. If you wish to use ‘Excavator’ Ice Harvesting Drones instead of ‘Excavator’ Mining Drones, replace steps 53-57 and 59-61 with 62-73. If you do not wish to use ‘Excavator’ Ice Harvesting Drones, simply skip steps 62-73. 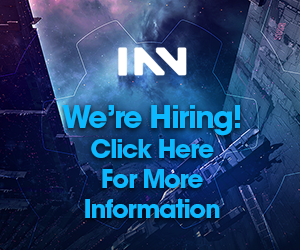 74-80 is required in order to be able to fit tank as well as the Capital Drone Mining Augmentor rigs. Steps 81 and 82 are for the Damage Control – just do it. Steps 83-95 are for the Capital Remote Shield Reps – these are ideal for Rorqualing. If you have no desire to equip one of these – you may substitute the train for Medium Remote Shield Booster and still be able to repair your drones. You will still end up training some of it in order to get the PANIC module. Steps 96-101 are for the Pulse Activated Nexus Invulnerability Core – one of the most important modules on the Rorqual. Get it! Steps 102-104 are needed for Power Diagnostic System II’s. Steps 105-126 are both general drone skills allowing you to use T2 Light and Medium drones (Gallente and Amarr T2) as well as improving your ‘Excavator’ Mining Drone yield. Steps 127-130 allow you to use Industrial Core II, which improves mining drone yield when active. Steps 131-143 are general jump drive skills – good to have, though if you’re an idiot, not entirely essential. Steps 144 and 145 – capacitor skills, important – get them! 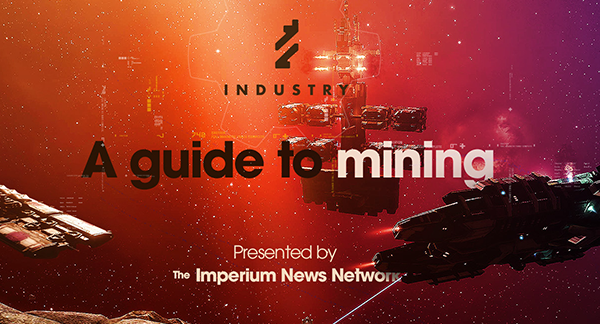 Steps 146-148 improve your mining boosts – for subcap mining ships – not necessary for the Rorqual, but nice if you are mining with others (think about your mercoxit miners, please!) though only needed on one Rorqual in a group. Please note: Invulnerability Core Operation I is the bare minimum needed to run a PANIC module. You will want to train this skill further. Another skill you might consider training are shield command burst skills – for better tank. If you use the fit listed in Rorquals and You, you will also wish to train for the appropriate smartbombs. Steps 1-4 allow you to use the +4% refining yield implant. Base Reprocessing skills that need to be trained to V.
Steps 15-62 are the highsec ores – if all you will be reprocessing are highsec ores – feel free to stop here. Steps 63-73 are the skills to reprocess Ice – if you do not wish to ever reprocess ice, feel free to skip. Steps 74-99 are for nullsec ores. If you will never reprocess nullsec ores, feel free to skip. If nullsec ores are the only ones you will reprocess, please feel free to skip the highsec ore reprocessing skills in steps 15-62. You should only be in this for a few days before one can get into a Procurer. For Ninja-huffing in WH’s, T2 is HIGHLY encouraged as you have a time limit. Ice is mined one block at a time – increase in skill is measured by decreasing cycle time not amount mined. Probably better investment to skill into a Procurer. The tank on this procure is tailored for Delve – different regions may require different tank. For friendly space – warps faster, so back and forth takes less time. In fitting ships for highsec mining, it’s best to prioritize tank over yield to reduce the likelihood of being ganked. These fits won’t stop all gankers, but they are tanky enough that solo gankers are unlikely to kill them, even when multiboxing half a dozen DPS ships.